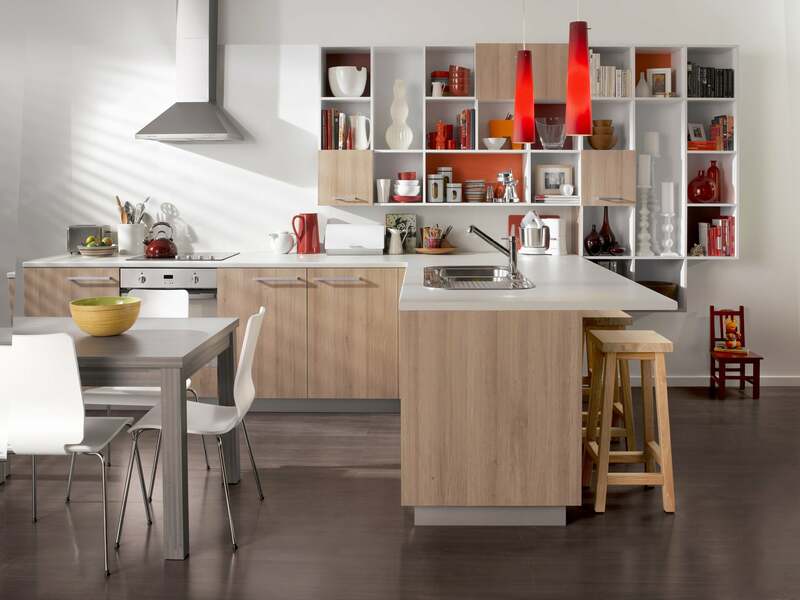 Quick Kitchens flat pack products provide an Australian made 7-year Manufacturer’s warranty protecting against defects in our workmanship and the manufacturing of our flat pack cabinet carcasses, doors, drawer fronts, panels and benchtops. The warranty is applied to the original purchaser and covers domestic use only. Colours shown are as close as possible to actual product colours however different resolution and contrast screens can show different colours. Samples can be sourced from our showroom or online with the affiliated company. All advertised goods are expected to be available at time of ordering, but unforeseen circumstances may result in delays or unavailability. In such situations you will be notified by Quick Kitchens. All information, advice and tips provided on the website and in our associated brochures are of a general nature only and are not intended to be a substitute for expert advice. Quick Kitchens disclaims all liability for any injury, damage or other liability whatsoever resulting from the use of information and tips. Quick Kitchens advises you to call in a qualified tradesperson where expert services are required. Quick Kitchens reserves the right to correct any online or printing errors. It is the customer’s responsibility to check for defects or damage arising at pick up or delivery prior to assembly ( for flat pack product ) or at pick up or delivery of your assembled product. Please be aware that once you sign for the product at pick up or delivery that this signifies acceptance of the product and will void any right to claim for defective workmanship or delivery damage. Please see our Shipping and Delivery system for detail on how we prepare, pack and ship your goods so that you receive a quality product in great condition. Please note: all prices listed are in Australian Dollars including GST. It’s important to know that when a customer presses go on an online order they are in essence pressing the start button on our machine! Please contact us at admin@quick-kitchens.com.au if require any clarification on this policy. Please note that the act of signing for the Quick Kitchens product on delivery equates to acceptance that damage has not occurred in shipping. In the unlikely event that a delivered product is faulty or damaged, we will exchange it with a like for like replacement, or provide a full refund, as long as we are notified of the product’s fault prior to delivery being accepted. In such a case we will ask for an email with photographs of the item(s) in question and on approval from our quality control officer we will happily process replacement part(s) for delivery. Quick Kitchens will not be responsible for any removal, installation and/or setup costs incurred during and in relation to any replacement of the Quick Kitchens product. Quick Kitchens will not, under this Manufacturer’s Warranty, be responsible for consequential damages such as loss of use, inconvenience, loss or damage to personal property, whether direct, indirect or economic. Quick Kitchen’s responsibility will not, under this Manufacturer’s Warranty, exceed the purchase price of the Quick Kitchen’s product or its replacement. We reserve the right to arrange for inspection of any claimed faulty or damaged products prior to agreeing to any part-refund, full refund, or product exchange. Any approved refunds will be made to the account used to purchase the product. Please contact us at admin@quick-kitchens.com.au if require any clarification on this policy. Please note: All small hardware orders are available for pick up only. If you require a quote for Australia Post to deliver please don’t hesitate to contact us.